UL (Underwriters Laboratories) Firefighter Safety Research Institute … Maryland, U.S.A.
MIT SENSEable City Lab … Massachusetts, U.S.A.
Aalto University Fire Engineering Research & Education Blog … Finland. Posts by Prof. Simo Hostikka. medium to long-term, is a fundamentally flawed approach. Structural & Non-Structural Building System Performance During Earthquake & Post-Earthquake Fire – Full Fire Test Programme Report (2013) by Brian Meacham, Jin-Kyung Kim & Haejun Park … PDF File, 21.75MB … published by Worcester Polytechnic Institute, Massachusetts, USA. Roadmap on the Future Research Needs of Tall Buildings (2014) … edited by Philip Oldfield, Dario Trabucco & Antony Wood … PDF File, 3.91MB … published by the Council on Tall Buildings & Urban Habitat (CTBUH), Chicage, USA. Going for Green – European Sustainable Building Certification Statistics (2015) … PDF File, 2.67MB … published by RICS Deutschland, Frankfurt am Main, Germany. 2015 Aalto University (Fi) Experimental Study: Pressure Development in Apartment Fires … link to Presentation on YouTube. 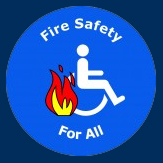 Call To Action: The EU Needs A Fire Safety Strategy (2016) … PDF File, 3.16MB … published by the Fire Safe Europe Alliance, Brussels, Belgium. Green Energy Choices: The Benefits, Risks & Trade-Offs of Low-Carbon Technologies for Electricity Production (2016) … PDF File, 41.35MB … published by the United Nations Environment Programme (UNEP), Nairobi, Kenya.